Google wants its search pages to offer maximum information to users with minimum of clicks – What used to be plain simple textual search results pages till couple of years back are now becoming rich aggregators of sort. Here is an example: Lets say you want to travel from Delhi to Kochi or want to know the details of a flight. Just type in the the Google search with your flight number and here is what appears. The searcher is presented with complete details of the flight, so he/she does not even need to click one more time – They are directly presented with the most important information. While the flight information was being shown by Google for international flights, now they have added network of Indian flights as well. 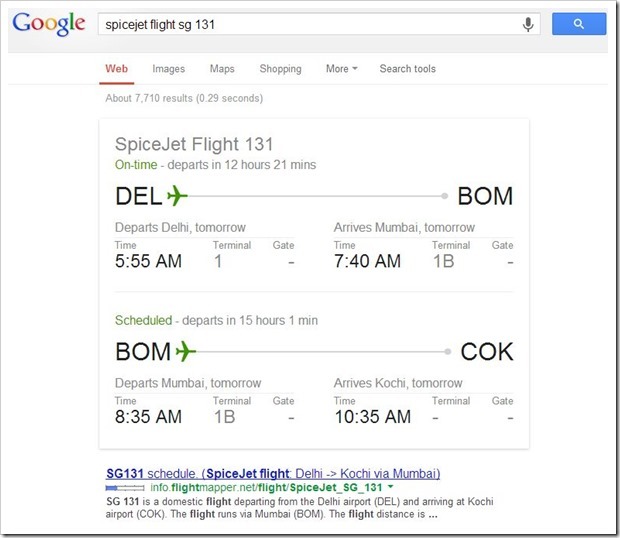 And Flights information is not the only thing that Google has added to their SERPs (Search Engine Result Pages). Google has also added weather updates and forecasts as well. 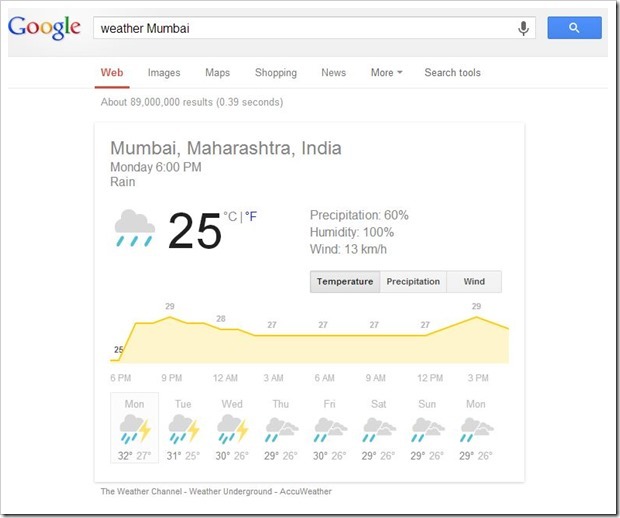 Lets say you want to check the Mumbai Weather, just type in Mumbai Weather and you will be presented with following SERP. The weather rich snippet offers forecast for a week along with current prevailing temperatures, precipitation as well as Wind. 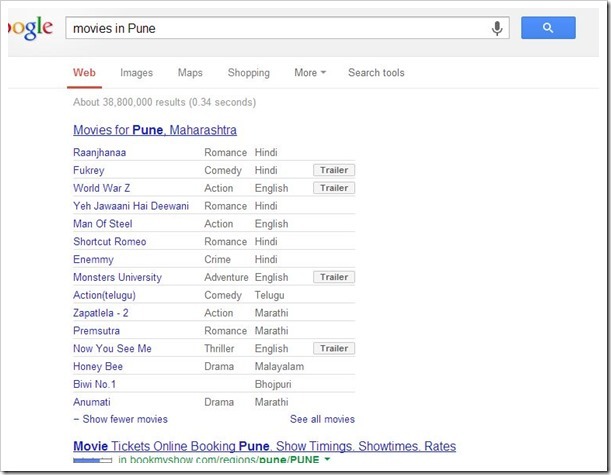 Google has added many other rich snippets in their SERPs like, Movies, ATM, local restaurant information, sports etc. Lets say you are new in a city and want to know where are the ATM locations near to you, its easy. Just type-in “ATM in [name of the place]” and you will be presented with locations on the map. 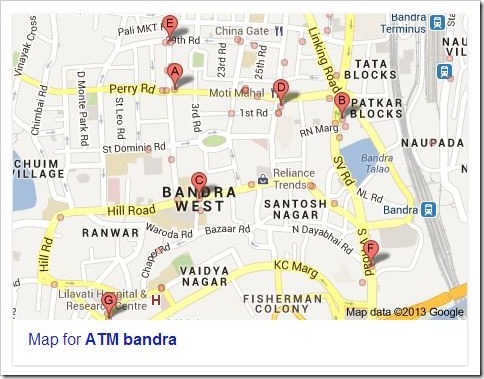 So for “ATMs in Bandra”, here is what SERP will show. This just goes to show that Google not only wants to be a storehouse of information, but also present it in a simplest way possible! Like I have mentioned in my previous post, while most of the users will be very happy with such information directly being showed on Google SERPs, think about publishers of such information, who now stand to loose all the traffic because users will get everything on Google’s search page itself! What do you think about these changes in Google?